Many know Dave Stewart as Annie Lennox's eccentric counterpart in the Eurythmics. In 2011, he founded the supergroup "Super Heavy" along with Mick Jagger and Joss Stone. However, a lot of people are a little less familiar with his solo projects like "The Blackbird Diaries". 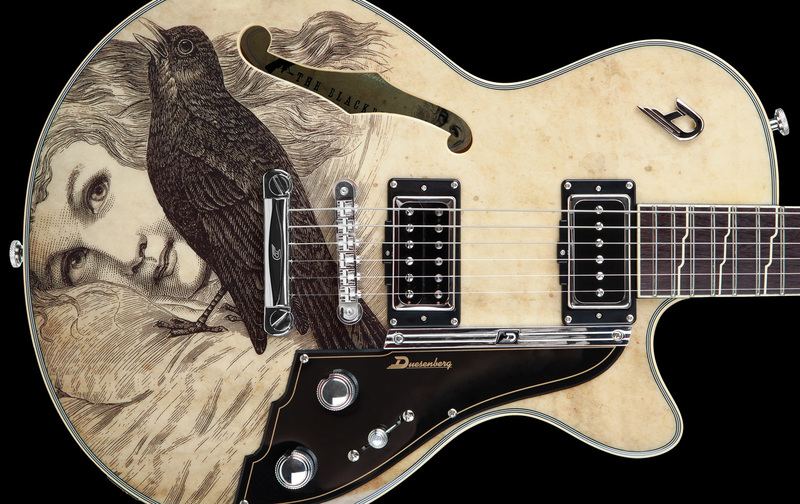 The "Dave Stewart Blackbird Artist Series" is an exclusive, luxury edition of our Starplayer III design - and it is limited to 52 instruments worldwide. The Starplayer III is a semi hollow, dual pickup, 22 fret electric guitar, featuring flat top and back, bent sides and a 648mm scale. 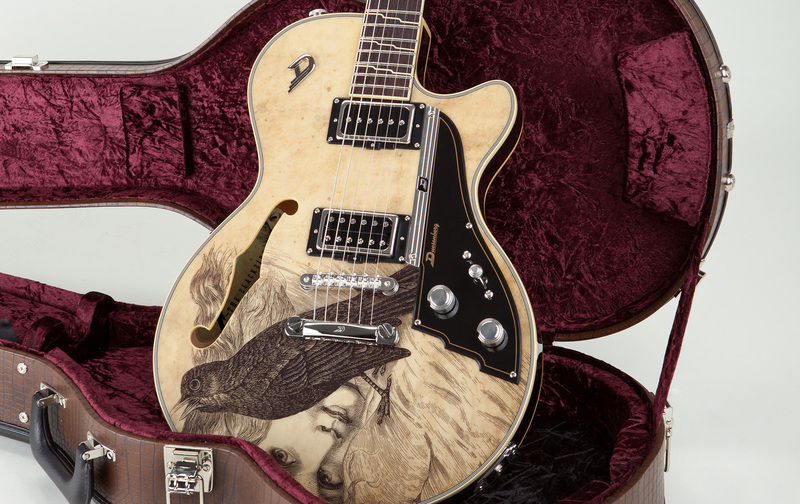 What makes this guitar unique, is the sophisticated top design, based on one of Dave's personal drawings. This graphic is also featured on the album cover for "The Blackbird Diaries". Additionally, all the hardware on this instrument is silver plated. The Artist Series Blackbird sports our open GrandVintage humbucker for the bridge, which gives you great response and transparency in any situation. 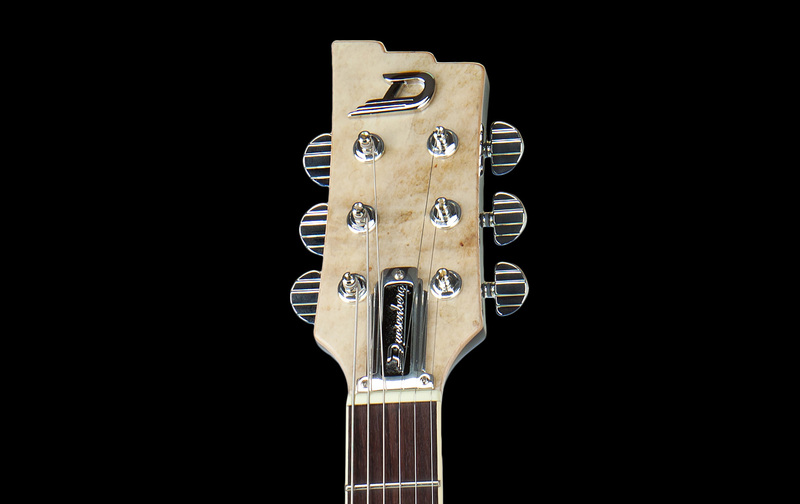 The neck position is fitted with our open Domino P90 singlecoil. 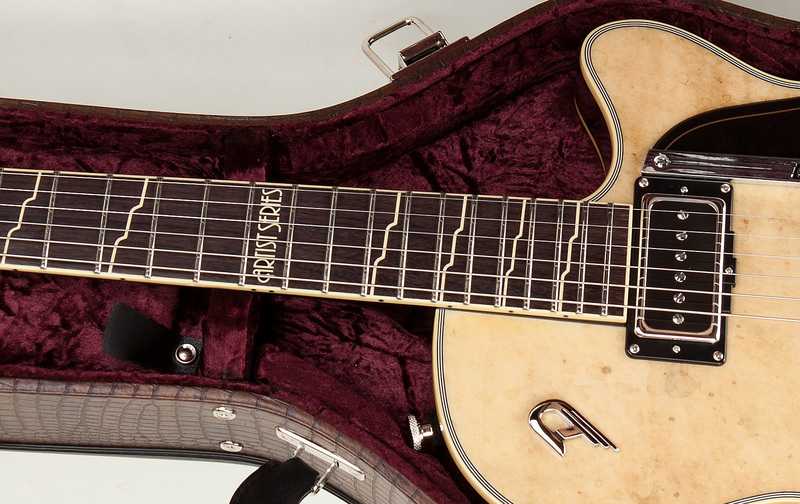 The strings on this instrument are held by a lightweight Duesenberg aluminium tailpiece, which not only perfectly matches Dave's requirements for tone on this instrument but also leaves space for the beautiful top graphic.